We Will Reverse Engineer Any Part. We will accurately measure and document the item. A drawing will be made of the article. The part will be assigned a file name or your specific part number. 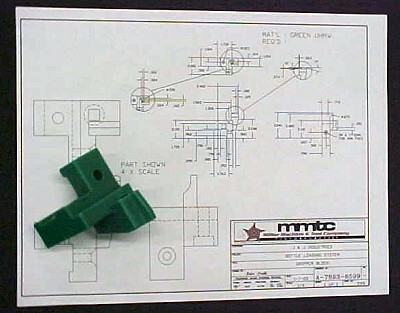 A Drawing Of The Part Is On File. With A Phone Call Or Email The Part Can Be Readily Manufactured. More Efficient Processing, Which Means Less Expensive Parts With Better Delivery.